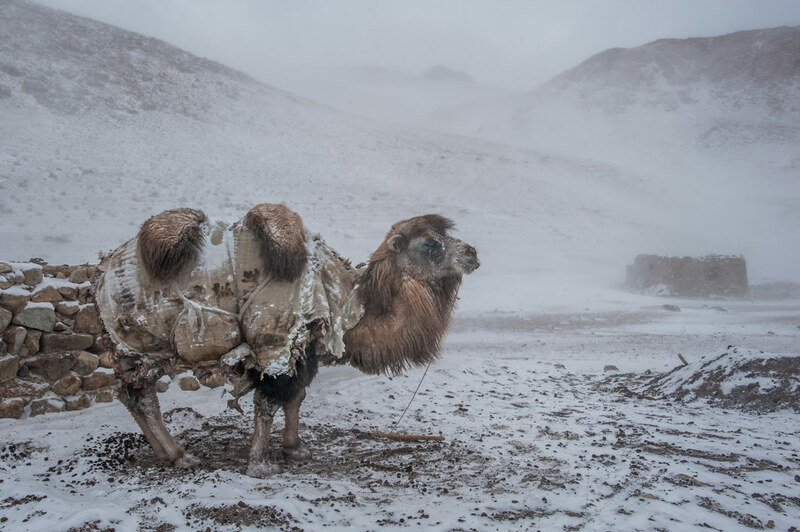 The competition’s goal is to showcase the best in mountain-themed photo essays – to recognize the best stories told through a series of still images. We invite photographers to submit photos to illustrate their mountain related stories whether culture, adventure, wildlife, sport, environment, or natural history. The jury is seeking a sequence of images that conveys a compelling story or message – with each image strong enough to stand on its own while conveying a greater narrative when viewed in the photographer’s desired sequence. The winning entry will be awarded a $2000 CAD Grand prize and an opportunity to attend the 2019 Banff Centre Mountain Film and Book Festival. We suggest photographers include only those images required to tell their story – unnecessary images may reduce the overall impact of submissions. Beth Wald is a documentary photographer who creates compelling visual narratives that explore the rich diversity and beauty of natural environments and cultures under threat around the world and tells stories about struggles to save ecosystems, species, ancient knowledge and ways of being, and about our often conflicted relationship with the natural world. She thrives far off the grid, immersed in a place and a culture. Her work has appeared in National Geographic, Smithsonian, The New York Times, Outside and many others and she has partnered with the Wildlife Conservation Society, Panthera, Tompkins Conservation, and many organizations. She is the recipient of numerous awards, including the Rowell Award and POY. 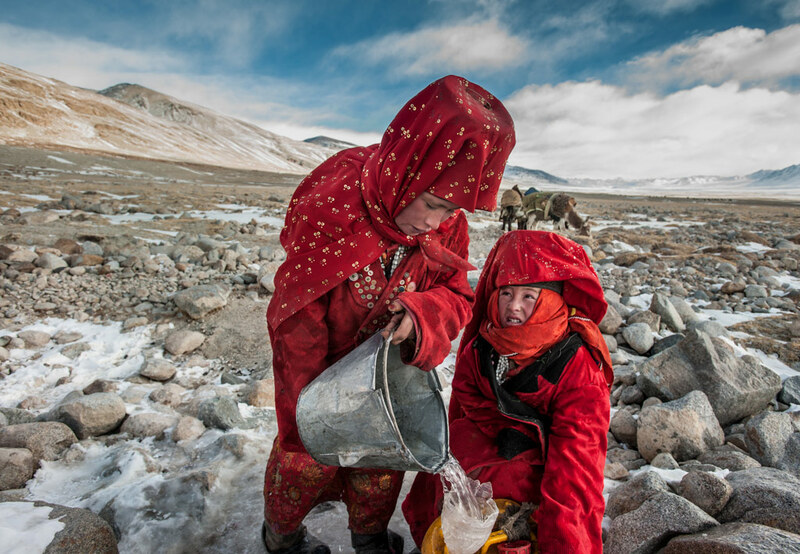 A small population of Kyrgyz live a nomadic life year-round on the high plateau of the Afghan Pamirs, moving seasonally with their herds of yaks, goats, sheep, camels and horse, on which they are completely dependent – for food, clothing, shelter, fuel, and as currency. 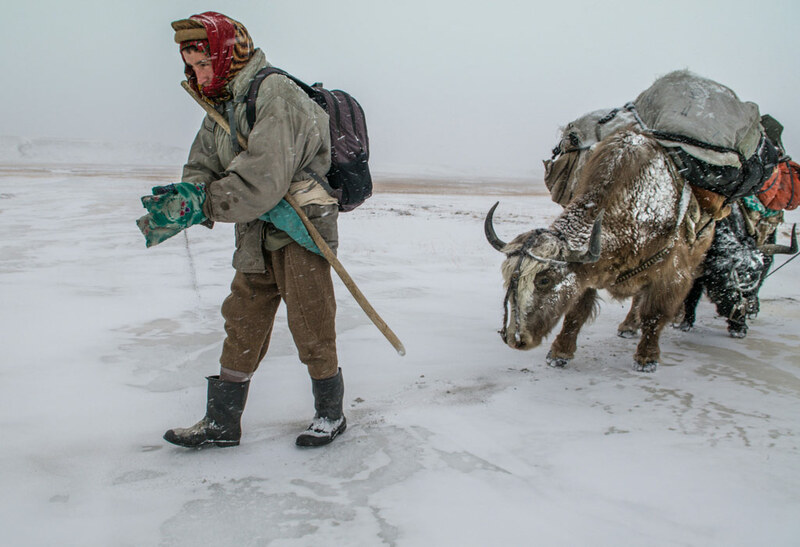 A Wakhi man sprinkles sand on a frozen river so that he and his yak won’t slip on the ice, during a journey up the Wakhan River into the higher regions of the Little Pamir to trade with the Kyrgyz. The Wakhi are thought to be indigenous to the region, which is named for them. 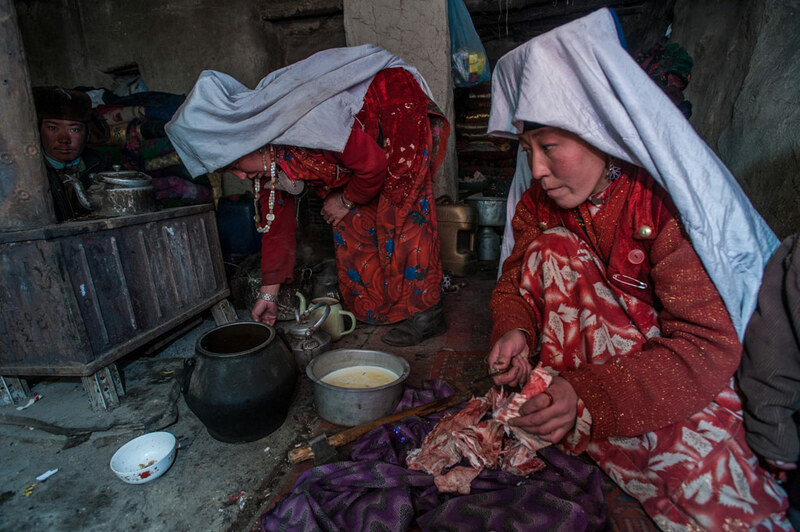 Kyrgyz women prepare a meal of yak meat and bones in a mud hut at their family’s winter camp. 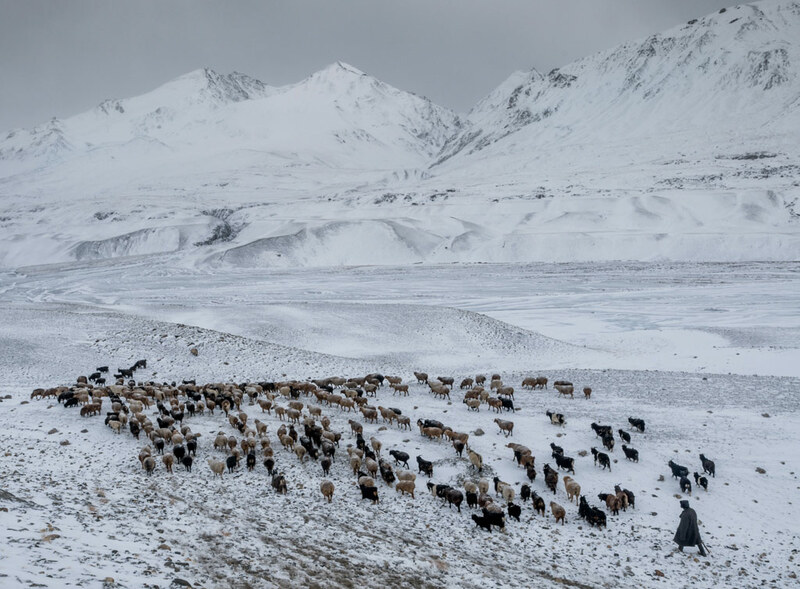 For cooking and heat, they rely completely on the dried dung of their animals, as there are no trees in the high valleys of the Pamirs.